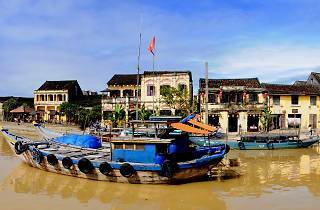 Hoi An radiates old-world charm. Hanoi and Ho Chi Minh City may grab the headlines but this quaint city in central Vietnam has been a Unesco World Heritage Site since 1999. 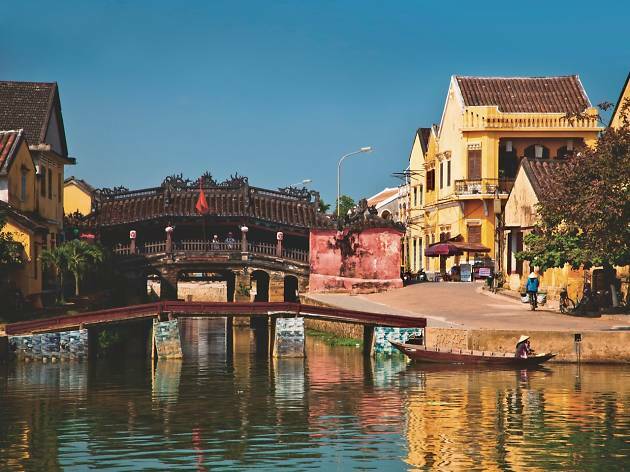 Hoi An’s history as a trading port remains a focal point of its modern identity – examples of Vietnamese, Chinese, French and Japanese architecture abound – but to say it survives off of former glories would be a grave injustice. This town is alive and kicking – and the perfect city to hit up for a 48-hour break. Acquainting yourself with the Old Town should be high on your agenda. Although it doesn’t span a vast territory, the narrow alleyways and their hidden wonders lie on both sides of the Thu Bon River and there is a lot of ground to cover. 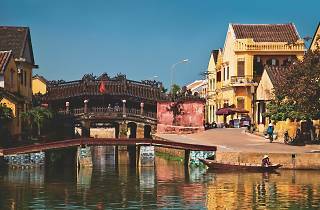 Popular sites include the 16th century Japanese Bridge (west end of Tran Phu Street) and the area’s historical houses. Tickets from the tourist information centre (2/6 Le Loi, +84 909 290 884) allow you to enter and leave the sites at your leisure – a luxury given the spike in visitors that appear later in the day. Evening boat rides along the river are the best way to see the lights and lanterns that dot the waterfront. Two hours inland lies My Son (Duy Phu Commune, Duy Xuyen District), formerly the heartland of the Viet Cong army that fought US forces during the Vietnam War. A day trip to the My Son Hindu temple ruins highlights the damage done to the region during the conflict. Local delicacies from the region include com ga, a dish of chicken and rice cooked in broth and turmeric, and cao lau, a noodle soup with a hearty broth and sliced pork. Cao lau is only found in Hoi An and is said to derive its unique flavour from the water collected in the town’s ancient wells. One of the more popular restaurants in the Old Town is Morning Glory (106 Nguyen Thai Hoc, Minh An, +84 235 2241 555; msvy-tastevietnam.com), which serves up a range of central Vietnamese delicacies and street food. The proprietor, Trinh Diem Vy, also runs cooking classes for visitors. Elsewhere, Secret Garden (60 Le Loi, Minh An, +84 235 3911 112) serves up refined regional cuisine and is well worth a visit. In the height of summer, with temperatures reaching 35 degrees, you may find yourself in need of a caffeine fix to counteract the withering effects of the heat. A bold Vietnamese drip coffee is just the ticket. Head to the Hoi An Roastery (various locations inc 135 Tran Phu Street, +84 510 3927 772; hoianroastery.com) for a freshly made drip coffee, served hot or over ice and with or without super sweet condensed milk. 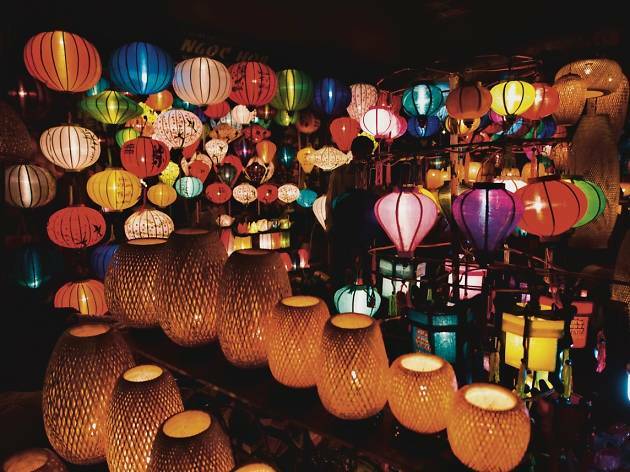 Hoi An’s bars wake in the early evening as the lanterns that litter the city’s streets come to life. Riverfront bars like the Mango Rooms (111 Nguyen Thai Hoc, Minh An, +84 235 3910 839; mangorooms.com) are the perfect place to sit with a sundowner and celebrate a weekend well spent. 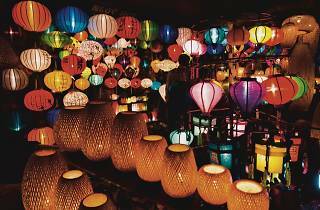 Both HK Express and Cathay Dragon run direct flights to Da Nang Airport, a 45-minute drive from Hoi An. The former costs around $733, the latter is $1,883 (inc taxes). The Lasenta Boutique Hotel is just 10 minutes from the Old Town. Its rooms boast picturesque views of rice paddies into the distance. 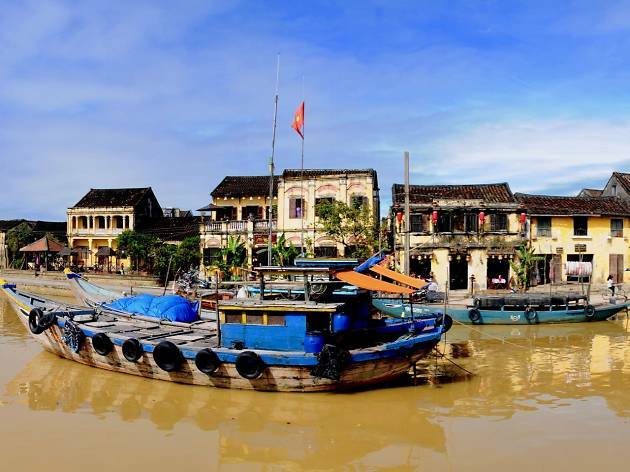 From $463 a night; 57 Ly Thuong Kiet, Hoi An, Quang Nam Province, +84 510 3933 552; lasentahotel.com. Four Seasons The Nam Hai is a luxury hotel that boasts three kilometres of pristine, private beaches and exhilarating water sports. From $5,300 a night, Block Ha My Dong B, Dien Duong War, Dien Ban Town, Quang Nam Province, +84 235 394 0000; fourseasons.com.